Many people have asked GORC how to add or convert GPS files from GPX to CRS and send them to their older Garmin device that we decided to write our own universal tutorial. Part I: How to Convert a GPX/KML/TCX file to a .CRS file. 1. Download a GPS track you want to put in your Garmin. GPSies is a German-based site and the service is based on an an idea by Klaus Bechtold, a enthusiastic runner and software developer. It's unclear whether it is still a one man operation because a lot of the supporting pages are in German. Many, many people use GPSies because of it's ease of use to convert files into other useful formats. The GORC web admin has been using this service since 2007. 4. Choose "track" and from the drop-down choose "Garmin Course CRS"
6. After a few seconds the file should start downloaded to your computer. 1. 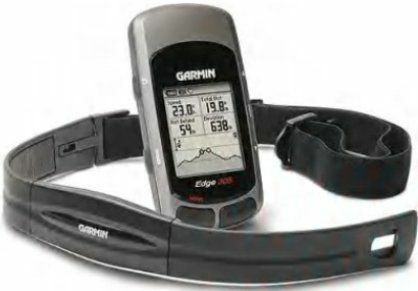 Attach the garmin to your computer and make sure the software (Garmin Training Center) recognizes your device. 4. Once imported, this course should show up under the folder COURSES in the left pane of the program. 5. Now to add the course to your Garmin device, Choose Device--> Send to Device. This will now start the upload process of the route/course from the Garmin Training Center software to your Garmin device. Memory limitations on these devices make you choose wisely. When you 'Send to Device' a pop up window will show you all the courses and then you can select individual ones to put onto your device. Iif all of your courses in the Garmin Training Center software will fit in the memory then it will simply load them all up. Step 6: Get on your bike and ride the course!